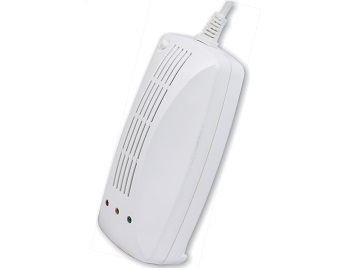 F911 series gas detectors have sleek modern look, they are easy-to-use, powerful, dependable and accurate. F911 series gas detectors help to identify potentially dangerous situation when methane, propane or butane gas leakage occurs. Up to 11 additional F911-I detectors. If one of the detectors senses methane /propane gas, all of the interconnected detectors will switch ＩＮＴＯ alarm mode. LED of the first alarmed unit will be emitting red light.